The difference between a great cook and a so-so cook is often just the possession of, or lack of some basic knowledge. This is an encouraging fact-it implies that talent isn't necessarily required to be a great cook. So let's talk about this basic cooking knowledge. For instance, a great cook knows that not only is there a distinct difference between boiling and simmering water, but that difference makes a difference in the results of many recipes. This is one of the most common kitchen errors. First, let's clarify what's meant by simmering: Unlike the French, who are blessed with a vocabulary that describes the stages of a liquid about to boil (such as fremir, which means to tremble or shake), we have no equivalent words to describe variations in simmering. But for most purposes, a simmer is the stage when the water is in motion but almost no bubbles break the surface; they're just trying to, but the water's surface tension holds them in place. Boiling, though, refers to liquid that's in full motion, with bubbles rapidly rising to the surface. 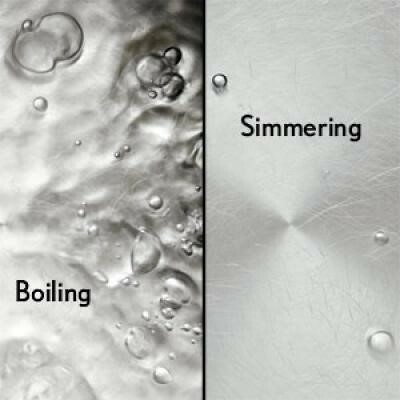 If you boil when you should simmer, the result can be a hurried-up dish that's cloudy, tough, or dry. When I was researching this topic I found this from a writer for Cooking Light magazine: "I had a friend serve me a beef stew once that gave me a real jaw workout. She boiled the meat for 45 minutes instead of simmering it for a couple of hours. She said she just wanted it to get done more quickly. Well, it was 'done,' but meat cooked too quickly in liquid ironically turns out very dry. And tough, really tough." 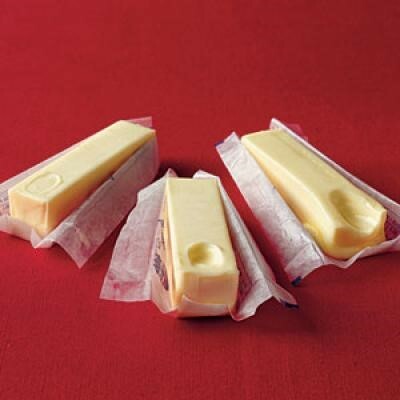 Another thing a great cook knows: You can over-soften butter. The great cook simply doesn't do this. But most of us have all done it-we've forgotten to set the butter out 30 to 45 minutes ahead of time to allow it to soften to room temperature. So we zap it in the microwave. And the result is cookies that spread too much or cakes that end up dense. 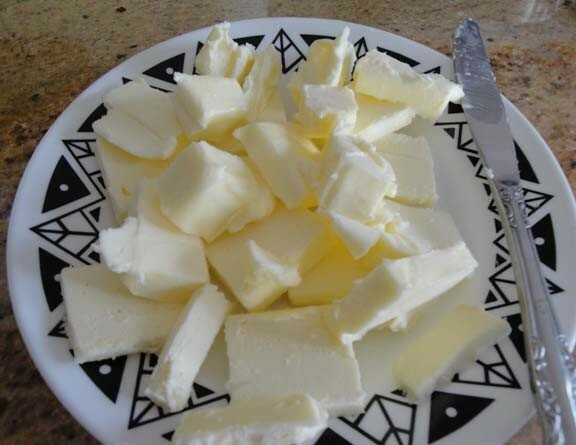 So here's what the great cook does if she's forgotten to warm up her refrigerated butter: She speeds the process significantly by cutting her butter into small bits and pieces and letting it stand. It comes up to room temperature fairly quickly this way. Properly softened butter should yield slightly to gentle pressure. Too-soft butter means your cookie dough will be more like batter, and as it bakes your cookies will lose shape. Butter that's too soft also won't cream properly with sugar, and creaming is essential to creating fluffy, tender cakes with a delicate crumb. And here's one more thing a great cook knows: It's very important to get your pan hot enough before adding food. Inexperienced or hurried cooks will barely heat the pan before adding oil and tossing in onions for a sauté. And the result? Nothing. No sizzle. A hot pan is essential for sautéing veggies or creating a great crust on meat, fish, and poultry. 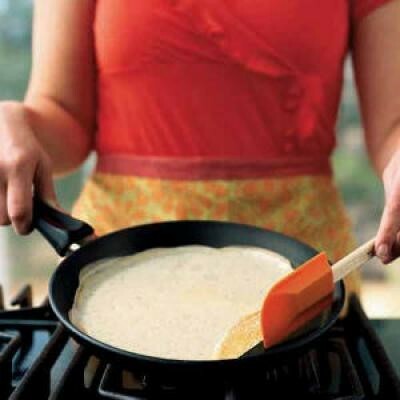 A hot pan also helps prevent food from sticking. Back to my Cooking Light magazine, top chefs and cooking experts shared this advice: "If you think your pan is hot enough, step back and heat it a couple more minutes. When you're about ready to call the fire department, then add your oil and proceed to cook the food." While it's true the wise man learns from his mistakes (which is how most of us have learned how to cook), it's also true that the wiser man doesn't make so many mistakes. They read their Cook'n newsletters and learn from the mistakes of others!